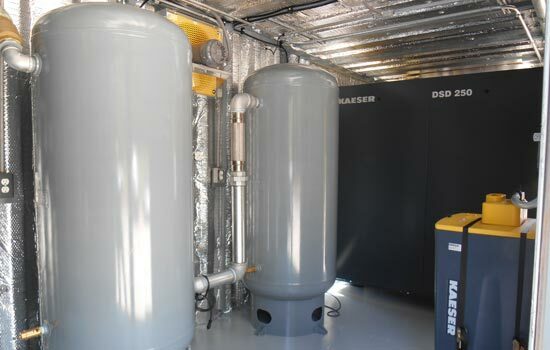 Air Compressor Systems - pdblowers, Inc.
We build air systems that deliver air where it needs to be, when it needs to be there. Our air compressor builds often work in tandem with other equipment as a key component in a larger process, air sparging in soil remediation for example. What sets our work apart is our ability to customize the system integration as needed. 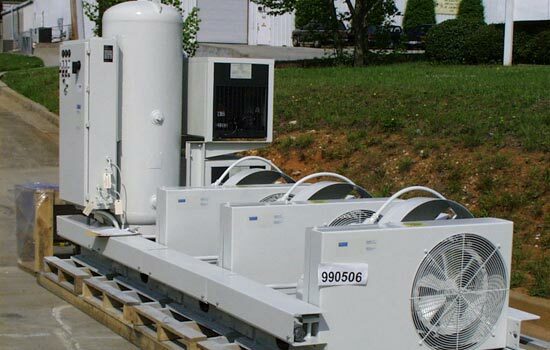 If your application has a need for local air supply, like process air, we can integrate the air compressor with the rest of your equipment onsite. 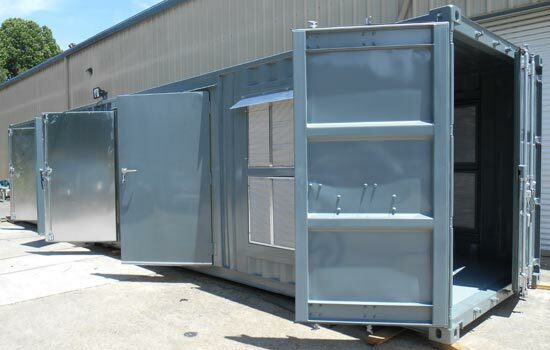 Containerization is an option to enclose the compressor with its receivers, regulators, valves, electrical distribution, and any additional controls. Insulating the container accomplishes noise reduction. We also test systems before we ship, up to 400HP. With our customization capability, we can handle demanding construction constraints. One of our clients approached us with a need to design an entire breathable air supply system product line for use in hospitals. 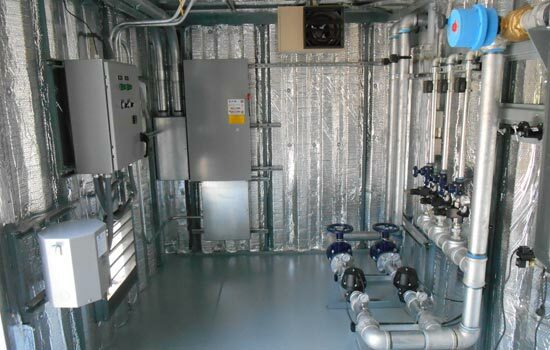 They would supply the control panel and compressor; we would design all of the other components to comply with NFPA 99 requirements—healthcare facilities standards—as well as the system integration. The significant challenge to this project was designing equipment in a configuration that would be modular enough to fit through entryways, typically 36″ wide. The breathable air supply actually travels through the building infrastructure and works with our equipment at discharge points. Controls at each discharge point monitor the air pressure. If the pressure drops below a certain level, the controls trigger the compressor to turn on to supply more air to the reservoir. This air compressor system ensures that medical personnel are the final regulators of flow control, giving each patient the air they need. The first working package was provided three months from the client’s program launch, on time. These units support patient use throughout the medical facilities where they’re used. Our integration capability also handles systems with many working components. One of our clients uses air sparging, injecting compressed air into the ground, as part of a bio sparge process in soil remediation. An air supply to microbes enhances their ability to break down organic compounds like gasoline and diesel, as well as volatizing the contaminants. This is an application commonly used to remediate former fuel service stations. We handled the system build, performing all mechanical work and equipment supply for the heavy duty unit. 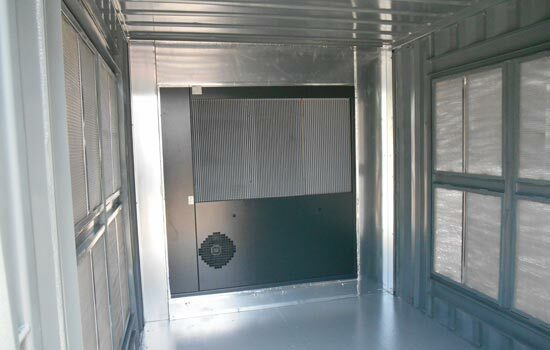 The build included a control panel and power distribution, a custom enclosure to containerize all components, and a very large plenum for air filtration—as large as a room by itself. The control panel enables scheduling for the sparge events at customized intervals. In other soil remediation system builds, we’ve also added flow monitoring instrumentation. 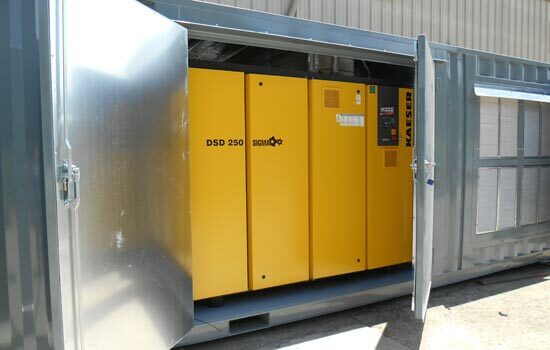 Our significant experience with air compressors includes working with reciprocating air compressors, which may only operate at a 50% duty cycle, as well as rotary screw compressors, which operate in continuous duty, with reduced noise. 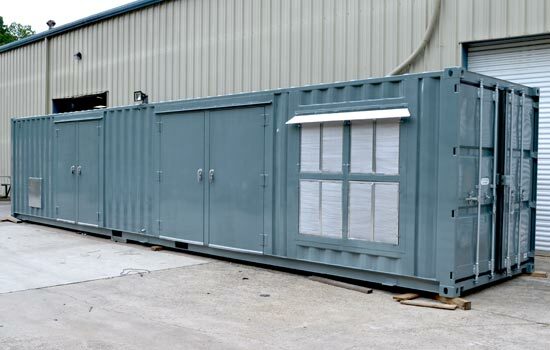 For new system integration builds, we can provide modular construction for an easier transport to the site and turnkey operation. We service every system component for which we do integration, so you can be sure your system keeps working. 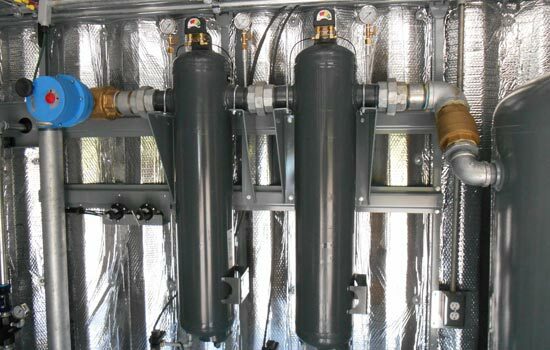 Contact us with your air compressor system needs. We’ll be happy to describe more of our previous projects and begin to discuss yours.